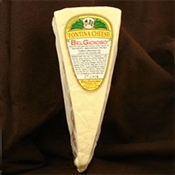 Fontina CheeseBelGioioso Fontina is the perfect table cheese with its sweet, buttery and slightly tangy flavor to accentuate any cheese presentation. 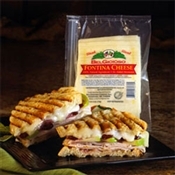 Aged over 60 days, this appealing, semi-soft mild cheese has a silky texture and a sweet, buttery and slightly earthy flavor. 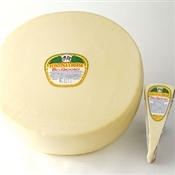 Versatile, it melts beautifully to make excellent fondue and great-tasing quiche, but it is also a perfect choice for a cheese tray.